Netwoven Blog Where to Upload Videos – Microsoft Stream or Office 365 Video? 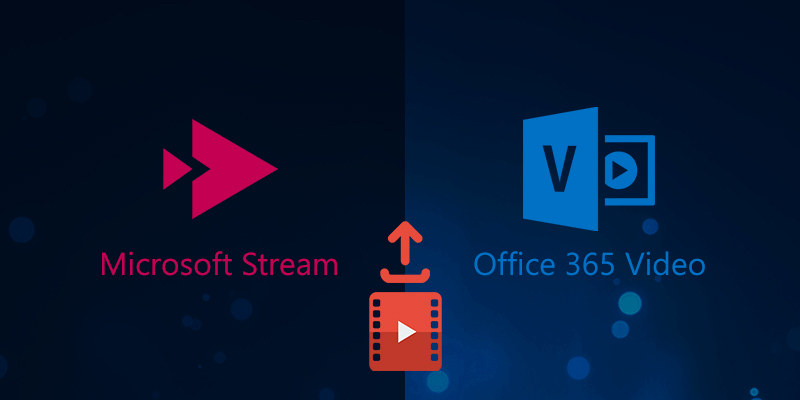 Where to Upload Videos - Microsoft Stream or Office 365 Video? When my Project Manager asked me to read the information available on Microsoft Stream and O365 Videos during my off-project hours, I confidently told him that from all what I read, I could recall everything on the fingertips, err…only to realize that he meant Business when I was expected to blog on it! Who is this blog meant for? Definitely my Project Manager, without a doubt! And if you just thought of dismissing this one assuming I ignored my readers or considering this is just one more amongst the plethora of black and white characters on Microsoft Stream and O365 Video available on internet search, ‘Caution!’, it goes here my hours of research to offer something additional to you from a usage perspective before either of them is pulled off by Microsoft or O365. I assume you continue to read because access to either of the applications is not your question, it’s merely defining the requirements for what happens when you upload a video to share or store. Here, we highlight what I think personify the uploaded videos. Before we delve into any of the other deciding factors, let’s first check if your video format is suitable for upload. By the stroke of luck, I accidentally stumbled upon a .flv and a .mkv file in my list of videos to upload that errored out when I attempted uploading it to O365 Video, which made me discover all O365 Video supported video and audio codes and video formats that can be found here. I haven’t faced any issue with any of these formats on Microsoft Stream. O365 Video allows video Title and Description to be added during the upload or any other time if you did not add this during the upload. A step further, Microsoft Stream also allows the video subtitle file to be additionally uploaded along and not just stopping there, it creates a transcript of the video too if the video doesn’t contain one! Videos can be searched by any word/phrase contained in the title or description on either of the applications. However, hashtags look like hashtags only on Microsoft Stream! O365 Video compulsorily requires users to upload videos to channels, even if you forgot to choose one before you started to upload a video. 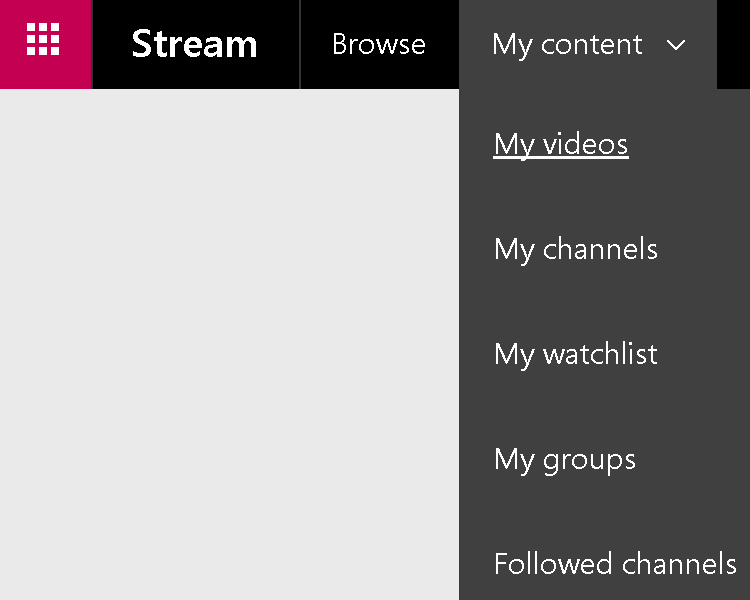 'Channels' help grouping or organizing videos and as a channel owner, you can access channel settings like in the image below. Quite a contrast to O365 Video, one need not always upload a video to a channel. However, if you think your videos would be lost in this clutter, Microsoft thought a step ahead – it gave you My content to look for your contributions to the application. When we talk about privacy, it could mean access to viewing, downloading or contributing videos. 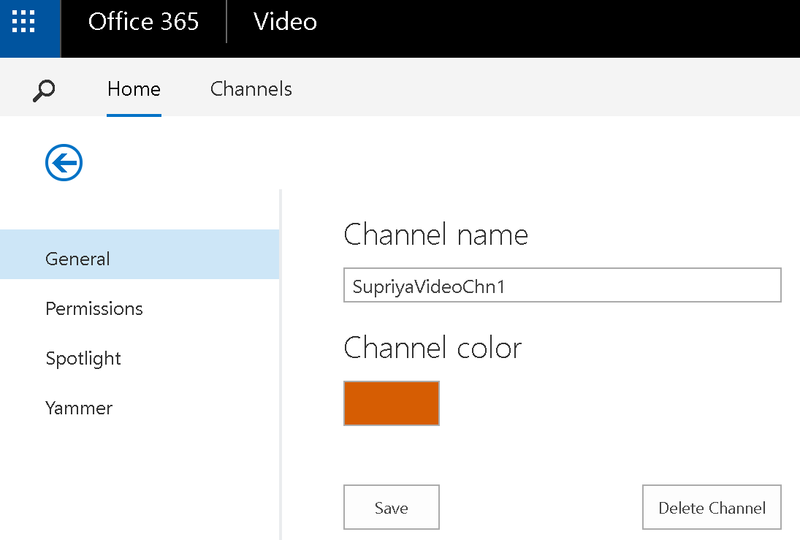 The O365 Video channel settings allow you to change user permissions of the channel. At the minimum, a video can be viewed, however channel owner may also permit viewers to have download access too. This can be done anytime in the lifetime of the channel! 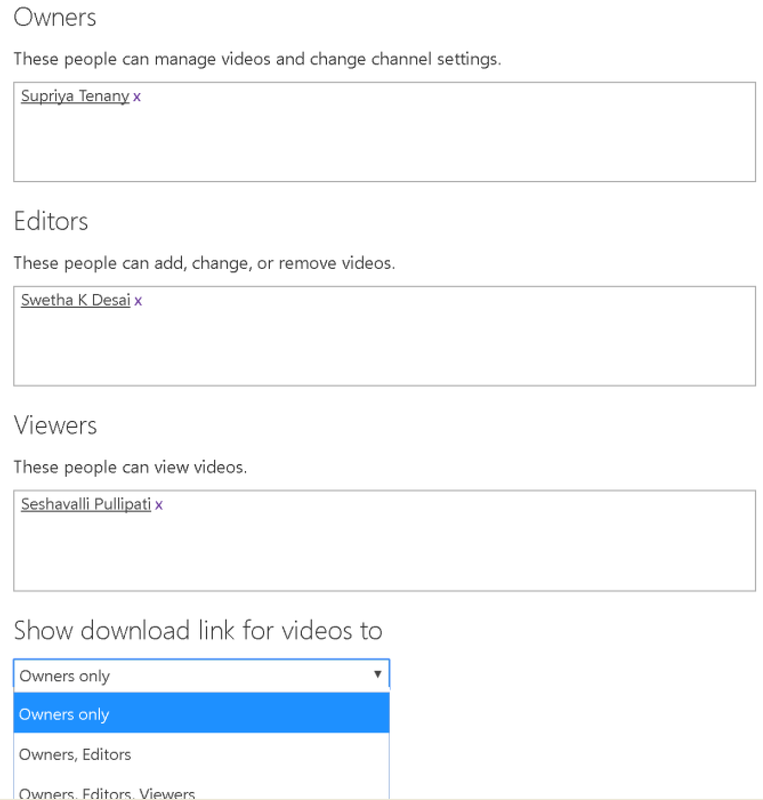 On the other hand, to manage access to videos, Microsoft Stream lets users to create groups if access to the channel is restricted, else companywide access to videos is assigned by default. However, unlike O365 Video, all users in this group have the same level of access to the channel and neither users in groups, not groups in channels can be altered once a channel is created. The following images depict how groups and channels settings are set during creation. When I say 'socialize', I don't necessarily mean tagging videos and friends on any social media. When you talk business, it could mean sharing in your organizational social community. In terms of Microsoft or O365, it is Yammer for now. 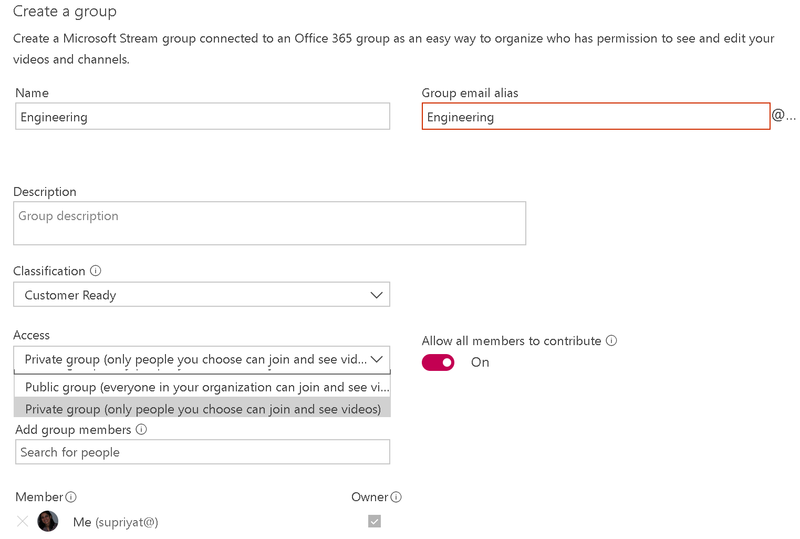 As the name suggests O365 Video allows commenting on videos on Yammer groups and eventually all Yammer activities on the video once it gets shared there. A Yammer group can be defaulted to the channel so that any yammer conversation on the video goes into the group without having to select any explicitly. 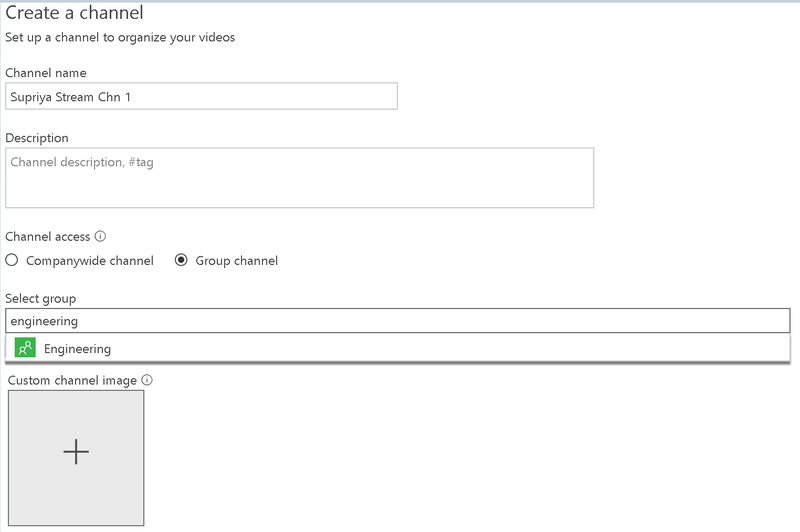 Turning off the Yammer conversation refrains from socializing any video in the channel on Yammer. On the other hand, Microsoft Stream allows users to like, or comment on the video on the same application. Additionally, statistics of views, likes and comments are displayed with the video. Moreover, comments can also be turned off, leaving users to limit their activity to only view and like. There’s no end to exploration. As I write this article, I’m sure there would be so many changes that would be taking place. So why wait, get…set…upload and share!